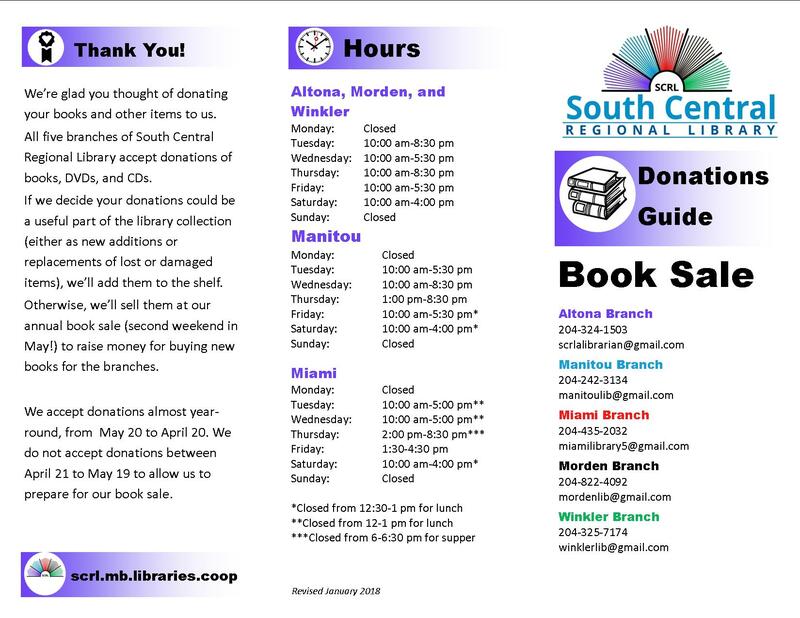 All five branches of South Central Regional Library accept donations of books, DVDs, and CDs. Books for the library’s shelves – by providing new or replacement copies for lost or worn library copies. Items for the annual book sale – Money raised goes toward the purchase of new books for all four library branches. We accept donations almost year-round, from May 20 to April 20. 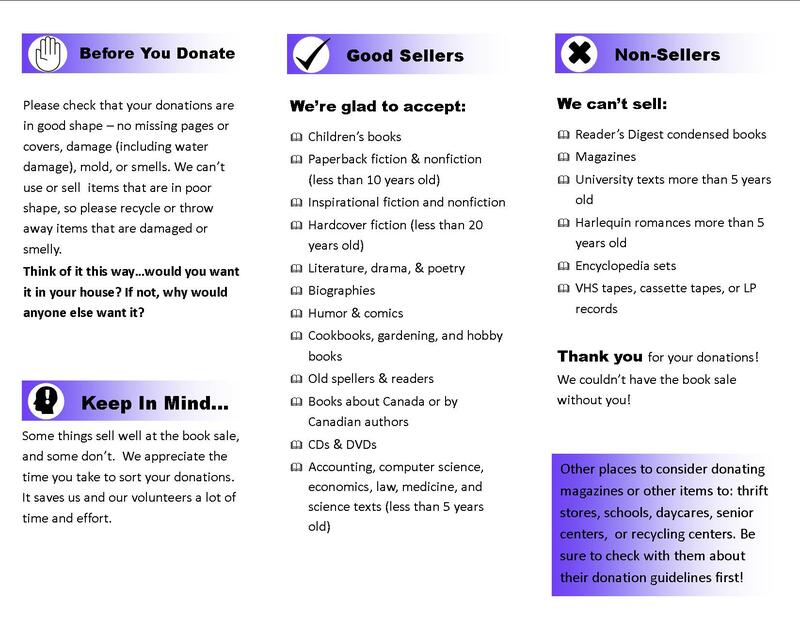 We do not accept donations between April 21 to May 19 to allow us to prepare for our book sale. The book sale is held in early May every year & the deadline for donations for the sale is April 21. 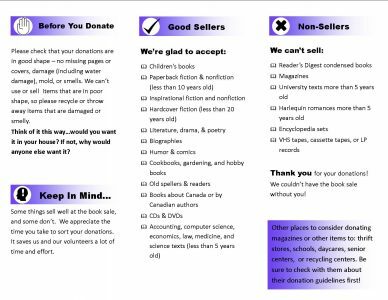 Please check our our Donations Guide for more information!